Alongside a whole host of other nasty chemicals, these yucky, synthetic dyes are what put a lot of people off getting a spray tan. Fortunately, there are alternatives! We can guarantee that our professional solutions will never, ever make you orange… why? Because they don’t contain ANY synthetic orange dyes! 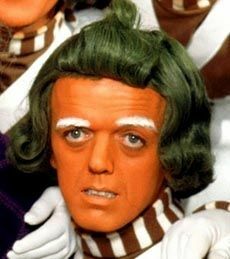 Never again will you need to exit the salon sheepishly because you closely resemble a tangerine. Embrace using Mother Nature’s finest to tan the healthy and sunless way! Find your nearest holistic Eco Tan Technician on our Stockist page.